Here in the northern hemisphere, spring is well on the way. At the other end of our planet, autumn is looming. Earlier this year, I was lucky enough to exchange winter for summer on board the Hurtigruten expedition ship Fram, sailing south to Antarctica. It was utterly amazing, even more than I’d expected. See my travel blog – http://kwjourno.wordpress.com for some stories from the ice. 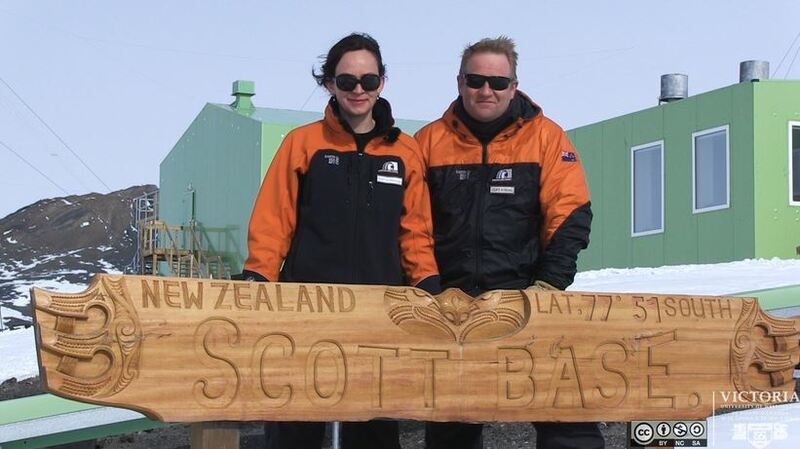 Three weeks in the Southern Ocean have inspired me to learn more about this enigmatic continent, the coldest, driest and windiest in the world. So I’ve just signed up for an EdX Massive Open Online Course (MOOC) ‘Antarctica: From Geology to Human History’ offered by Victoria University Wellington. 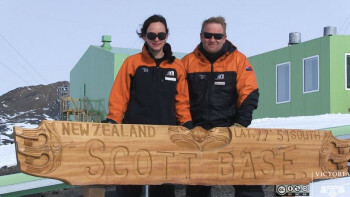 See New Zealanders Rebecca Priestley and Cliff Atkins above at Scott Base. Ice 101. There’s still time to enrol for this free course, if you too are intrigued by the seventh continent. I’ll keep you posted…..